First of all, the Writing test is different for Academic and General training Module of IELTS. I am going to talk here about the General training Writing test. It actually has 2 sub-tasks. The first one is to write a letter according to a scenario you will receive, using not less than 150 words. The second task is to write an Essay on a given topic, present and justify an opinion or give a solution to a problem, using not less than 250 words. Nothing to worry about here! Once you’ll start using a certain structure which I’ll explain later on for the letter and the essay in addition to your imagination, it is a piece of cake. This task requires a bit of training, but after you write a few essays and letters you will be well-prepared for it and you will feel confident. what is complex sentence structure? does it mean that use conjuncture words such as “that,which, who and where” to join sentences together? Hi,Can U Give Me Model Answer For Below Question…plz..thanks. can I lie in my writing essay? especially when i do not know any arguments? Hi Santosh, you can find lots of essay samples here, and also letter and report samples. Hope this helps! Please let me know your method of essay evaluation, how do you let your students know their mistakes? I mean do you send essays back by e-mail? I also want to take writing course with you immediately. Kindly help me how to I can enrol in the course. Looking forward to your help. Hi Yasmin, our writing correction team accepts writing tasks by email and returns them back checked also via email. 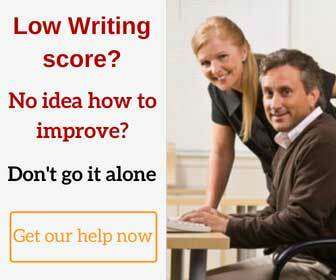 Please visit this page to download a sample of a checked writing and read in detail how our writing correction service works. We’re looking forward to helping you. Certainly! You can find lots of tips on IELTS writing here.